Isn't This taking away from Someone's Ability to Serve? Doesn't this take too much time? 01:13 Isn't This taking away from Someone's Ability to Serve? 02:40 What if Something Goes Wrong? 03:48 Doesn't this take too much time? Do the work once, and it's done! 05:48 Does this Work for a Small Church? 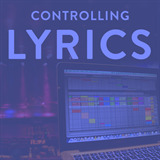 In this course you’ll learn how to use Ableton Live to Control ProPresenter for lyrics and video. We’ll take a look at how to do this in both ProPresenter 5 and 6 and show you the differences between the two versions. You’ll learn how to program cues and load them into a set efficiently, so you don’t have to repeat your work every week. And finally you’ll learn how you can skip around and repeat sections of your songs, and the lyrics will follow.